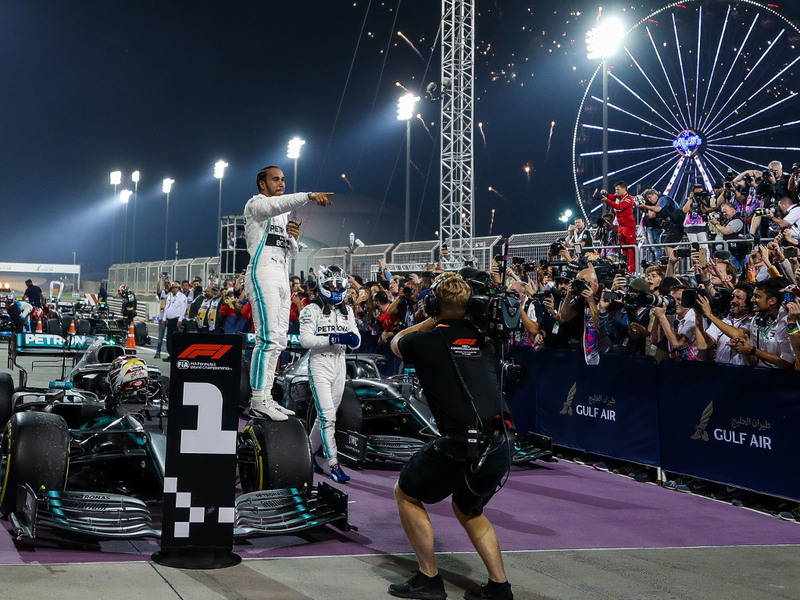 There were no tears of joy for Ferrari; yet another one-two for Mercedes; and McLaren have found some form as the other contenders to be best of the rest shot themselves in the foot. The most gutting, galling, devastating, desperate closing to a grand prix in a long time. After a dominant weekend, Charles Leclerc’s dream result began to unfold into a nightmare on lap 46. “There’s something strange with the engine,” he said, as his hitherto untouchable Ferrari began to sputter due to a cylinder failure. His 10-second lead over Lewis Hamilton was soon 5 seconds. Then 4, 3, 2, 1. By Lap 48 Hamilton had sailed past the ailing Ferrari. The tears of joy to celebrate what had seemed like a debut win after a dominant weekend were not to be. “I could cry,” Leclerc said on team radio. After the race, in which he ultimately finished third thanks to a late Safety Car deployment – to claim one of the most bittersweet maiden podiums in F1 history – Leclerc was phlegmatic, professional. Yes, this was disappointing, but he will depart his wandering in the desert a stronger driver. And lest we forget the statement of intent. Leclerc outqualified his four-time World Champion team-mate, and had him soundly beaten despite a shoddy start. There is no doubt that he will win. It’s just a matter of when. Sebastian Vettel had a nightmare of a different nature. In addition to having no answer to Leclerc’s blistering pace both on Saturday and in the race, the German cracked under the pressure of wheel-to-wheel combat again, by spinning at Turn 4 while battling Hamilton for second place. What started as a slight niggle for Vettel in 2018 has festered into a chronic condition. Simply put: he will not be able to challenge for the title if he can’t keep his head when racing in close quarters with his rivals. Hamilton knew that and his audacious overtaking efforts rattled Vettel. To compound matters, Vettel also finds himself struggling to match Leclerc. Ferrari said at the start of the season that they would apply team orders to favour Vettel if the situation required it. Perhaps the Scuderia chose the wrong driver. Hamilton’s prognosis for the year ahead was stark. “We have work to do,” he said after the race. It was a barb aimed straight at the heart of Ferrari’s problems. The Finn has a point. Mercedes are still the team to beat. Even when they don’t have the fastest car they have the best reliability, and more often than not get it right both strategically and operationally to maximise whatever result may be on offer. Fernando Alonso was on the McLaren pit wall and couldn’t hide his disappointment when tragedy struck Leclerc. But Lando Norris crowned another fine day for F1’s new generation with an exceptional drive to claim sixth. The young Brit, like Leclerc, had to work hard to recover from a poor start, but he showed fine race craft to hold off Kimi Raikkonen. 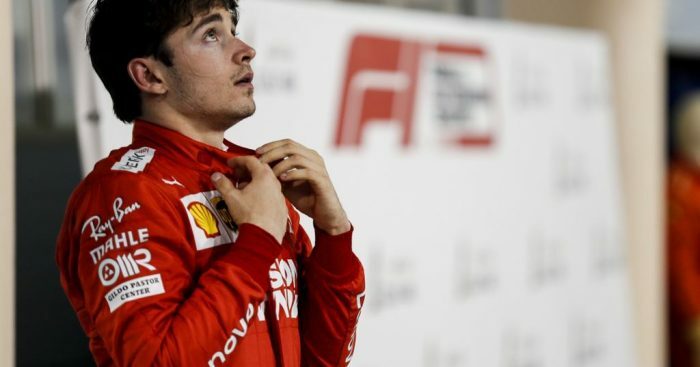 Much like Leclerc, he has announced himself as not only a star for the future, but as a star of the present. Most teams in the paddock would rather have Alonso than not; though if the two-time title winner isn’t available then Norris is proving to be a pretty handy option. Who wants to be best of the rest? McLaren claimed sixth behind the two Mercedes, the Ferraris and Max Verstappen’s Red Bull, but they benefited from Renault’s reliability woes, with both Nico Hulkenberg and Daniel Ricciardo forced into retirement late in the race. Haas endured a difficult weekend, but for different reasons. Romain Grosjean’s weekend was compromised by a grid penalty for blocking in qualifying, and his race was scuttled when Lance Stroll gave the French driver’s Haas a good whack on lap 1. As for Kevin Magnussen, the decision to one-stop was, in words that would probably appeal to the Dane, a bit rubbish. And given the inherent pace in the car, P13 and a DNF is an abject return for the American team. Daniil ‘The Torpedo’ Kvyat got a taste of his own medicine by being torpedoed himself by Alfa Romeo’s Antonio Giovinazzi. The young Italian struggled to keep apace with Raikkonen and has work to do. Kvyat, too, will be feeling the pressure given that his rookie team-mate Alex Albion bagged a few points with a P9 finish. Pierre Gasly’s tricky baptism at Red Bull continued in Bahrain. P8 was a decent recovery considering his poor qualifying, but he finished 52 seconds adrift of Verstappen in the sister Red Bull and only 4 seconds ahead of Albon’s Toro Rosso, AKA the poor man’s Red Bull. The DRS effect was a bit too strong in Bahrain, with drivers managing to use the speed differential to complete some overtakes down the main straight and before the first corner. Most fans want to see more overtaking, though it seems obvious at this stage that the new regulations coupled with DRS have yet to find the right balance between encouraging racing and making it too easy.